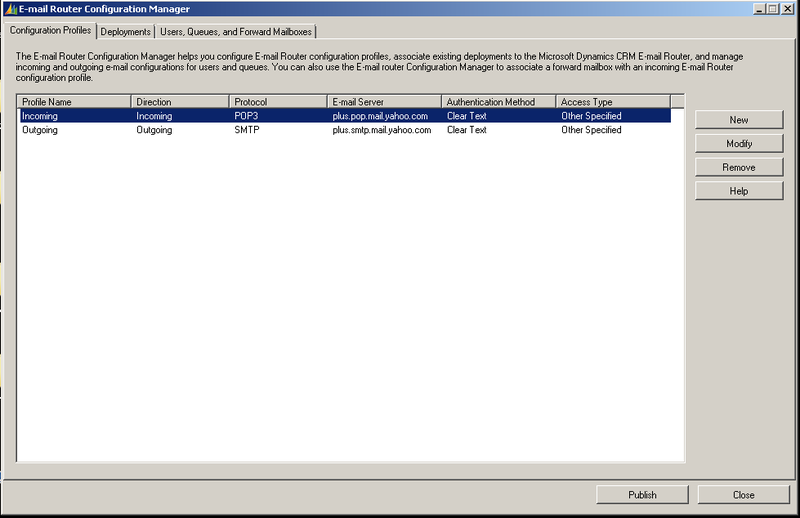 CRM 4 Email Router–Service Wont Start! I had a customer call this week stating that the email marketing solution they had purchased from us (eCampaign, brilliant solution check it out here) was not sending emails. Upon investigation, we realised that the email had been created but for some reason Microsoft Dynamics Email Router was not sending them. The email router service was stoppped and every time we tried to retstart it would immediately stop again! After some digging around we found a blog post that gave us the solution. The Microsoft.Crm.Tools.EmailAgent.SystemState.xml in the C:\Program Files\Microsoft CRM Email\Service folder had become corrupt. We closed down email router, removed the file and restated the service. This worked a treat and all the emails started sending merrily. Only problem……27k emails started sending! But at least the customer was happy to be sending emails again. P.S. Thanks to Marcello for his help!